“If only I could remember enough numbers to PEEK and POKE, then I could defeat The Master!”, thinks the classic Doctor Who companion Nyssa of Traken. TMR, who I have come to the conclusion is a swot, a maths whiz, and on the autistic spectrum, who also runs the blog http://www.c64crapdebunk.wordpress.com has recently had the cheek to debunk some more of my cutting exposés of the Commodore 64, so here’s my reply to him! Of course, there was no reason for me to post any publicity artwork for the film “Rain Man”, or to doctor it with a PC graphics editor which converts graphics to C64 formats, so I didn’t. I just decided to choose any graphic at all which represented the film “Rain Man”. Autism and its related skills of remembering lists of long numbers, such as phone numbers, or memory locations on the Commodore 64 is at least one explanation of how SOME people could manage to program the C64 in BASIC. Of course, there’s no way of knowing how many C64 owners are or were autistic. I never said there was! The Atari computers were supplied with Atari BASIC, which largely supported their hardware, but unfortunately they lacked commands for sprites, normally called “Player Missile Graphics” by Atari. A lot of type in Atari BASIC games, especially in a certain book, actually used a standard sequence of a few POKEs and other commands to redefine some of the characters instead of using Player Missile Graphics. After this, these characters could be used with the truly amazing Atari BASIC commands POSITION X,Y:PRINT , as well as LOCATE X,Y,C to detect them. Some more news about this technique will be posted in this blog in the near future. Of course, everyone used to have to remember a short list of important phone numbers and I think they still should do. I wasn’t born yesterday! I’ve lost count of the number of times I’ve read online on social networks that someone, of any age at all, has lost their phone and is begging for people to message or text them their phone numbers when they get a new phone with the same number. 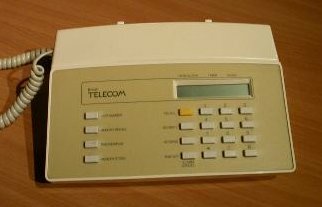 I first had the facility of a land line phone which could store numbers in 1990, so only 6 years after my C64 trauma, when I got a BT Venue 24E. My Mum’s phone number was 11 digits when I phoned her from London, but so were some other numbers which were actually in London. To help you remember these letters, you can use the sequence or words tea, Noah, May, ray, law, jaw, key, fee, pea. Unfortunately, a lot of C64 memory locations in decimal start with the numbers 532, which stand for LMN, so this system doesn’t help much with C64 BASIC V2. I think this is also how the site http://www.lemon64.com got its name. So, to sum up, some people managed to program the Commodore 64 just because they were autistic. This means that people who couldn’t program it can now have a good night’s sleep instead of worrying why they failed!